Litcom was engaged by National Fire to provide project management and leadership support for a major ERP implementation using Microsoft Navision. The enterprise-wide project involved key stakeholders from across National Fire and included managing both the ERP vendor and the technology infrastructure outsource provider. The project impacted the company’s major business processes and was designed to ensure that the senior executive had full visibility to all aspects of its business operation while also ensuring that all business operations could perform much more effectively. Our ERP implementation was at a standstill prior to Litcom taking over the project management. Litcom worked will with our department managers and the implementation team creating tasks, time lines, project status and other tools that assisted greatly in the project. 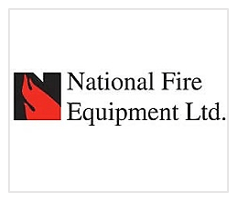 National Fire Equipment Ltd. is a North American leading supplier of quality fire protection products to industrial , commercial and multi-unit residential buildings. Products include fire sprinkler and fire hose systems, alarms, municipal and forestry fire fighting products. Established in 1959, National Fire Equipment Ltd. sells through branch distribution centers located in all major centers across Canada.